Pharma PCD Franchise for Antioxidant Medicines – The increasing demand for Antioxidant Medicines offer lucrative growth opportunities for the Pharma Franchise owners and the pharma distributors. We, at Penardo Biotech, provide you with a wide range of multivitamins, nutraceuticals, and dietary supplements and antioxidant medicines. We provide DCGI and WHO approved medicines and offer Pharma PCD Franchise for Antioxidant Medicines. Exclusive rights and marketing support are some of the benefits that we provide. Vitamins are important building blocks of the body and help keep you in good health, Thus they are frequently in demand. 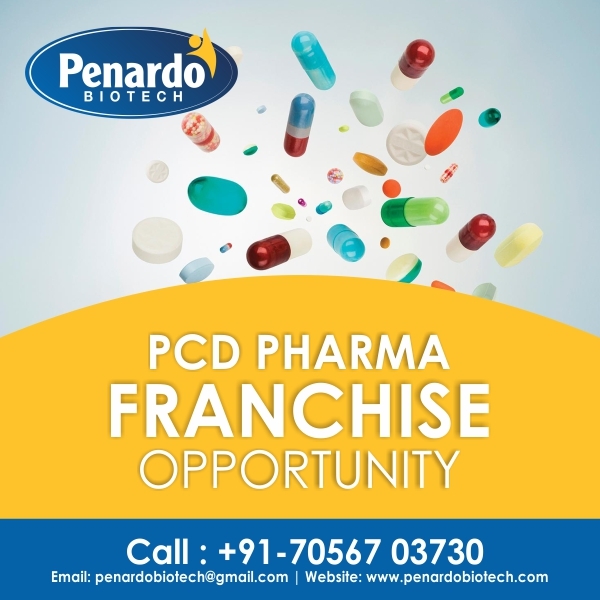 Penardo Biotech is an ISO 9001:2015 certified PCD pharma franchise company in India that is dedicated to serving people with its quality drug solutions. We are embraced with the team of skilled professionals who are engaged in formulating and manufacturing innovative and effective medicines. Our developed premises help us to offer Pharma PCD Franchise for Antioxidant Medicines. We are chained with 1000s of associates that help us to provide timely delivery of the products throughout the nation. We ensure that you will get quality products at reasonable rates and good profits in sales. Contact us to know more about pharma franchise deals in Antioxidants medicines. Call us at +91-9855087879 or you can mail us at penardobiotech@gmail.com. Why Should Invest in Antioxidants Range for PCD Pharma Franchise Business? Antioxidants are the substance that reduces damage to the body due to oxygen. They may prevent or delay some types of cell damage. They include enzymes, vitamin C, vitamin E, and beta-carotene, which are capable of counteracting the damaging effects of oxidation. The antioxidant medication is a multivitamin product that is used to treat or prevent vitamin deficiency that is caused due to poor diet, certain illnesses, or during pregnancy. The Pharma Market for Antioxidants is assured to witness significant growth because of the increase in the demand, and investment, decrease in their cost and support of the government to bring better health results. The Global Antioxidants Market was marked at $2,923 million in 2015 and is expected to grow $4,531 million by 2022. It has been registering a CAGR of 6.42% during the forecast period. Antioxidants are used as vitamin supplements in the pharmaceutical industry. So, the investment in the thriving sector of pharma franchise for Antioxidant range can surely bring you prosperous growth. Penardo Biotech is a famous company to provide a vibrant range of medicines. Strict quality controls and assurance are followed while processing each unit of medicine. A Large-Scale manufacturing space enhances our privilege in the Pharma industry. We use Alu-Alu, Blister packaging etc. to get non-contaminated and safe medicines. The manufacturing machines are hygiene and sterilized. A team of experts embraces us to formulate and manufacture effective and innovative medicines to bring safe results in use. Free Sampling and Many More! Penardo Biotech is an ideal antioxidant range franchise company in India to bring your further exciting business dealerships where you can earn, learn and grow immensely. Join us to make your future bright in Pharma Franchise for Antioxidant Medicines.